The Pelican Studio Concept Store in Amsterdam by Framework. 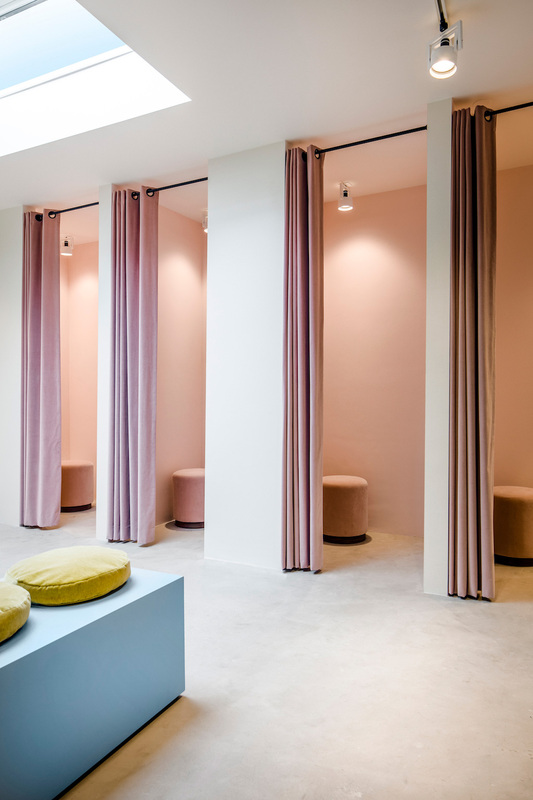 Amsterdam recently welcomed the launch of The Pelican Studio, a fresh new retailer that intends to bridge the gap between high fashion and street-wear. 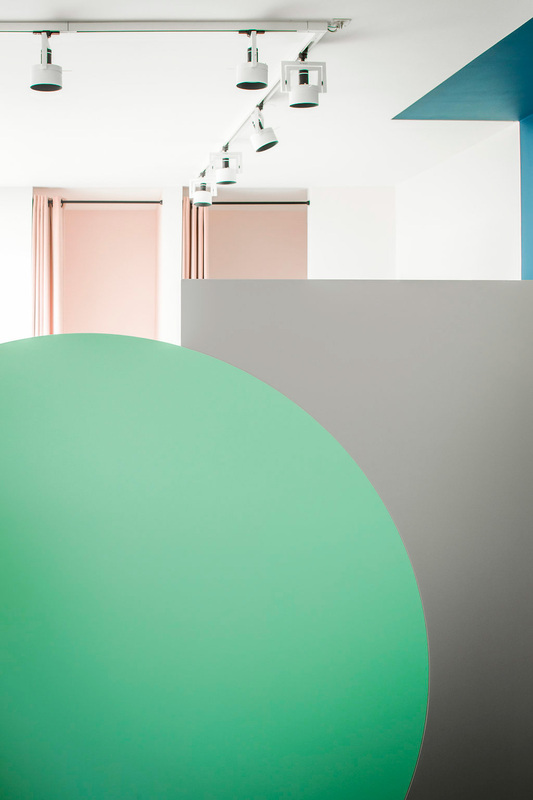 Designed by the team at Framework Studio (also based in Amsterdam), the interiors offer a playful scheme where the colours are the hero, and strength in simplicity is the prevailing achievement. 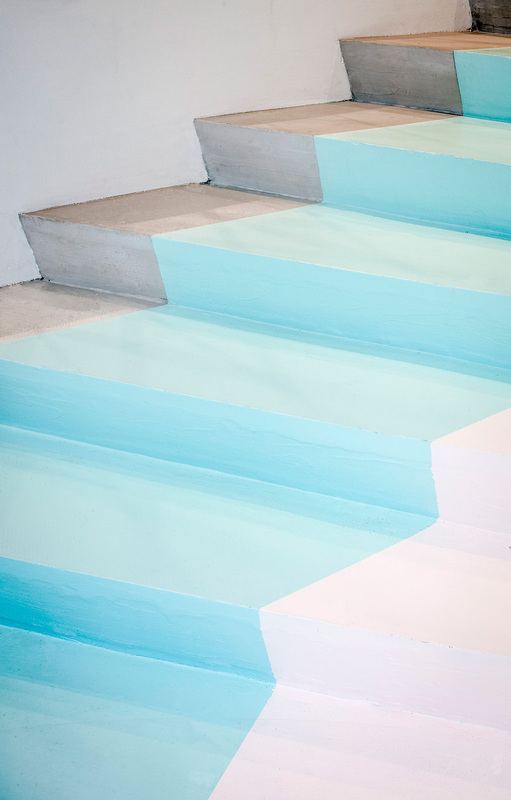 The store sprawls across a split-level plane joined by concrete steps layered by two thick stripes of peppermint green and white paint. The upper level features the main display room and service counter, strikingly coated in bold teal. 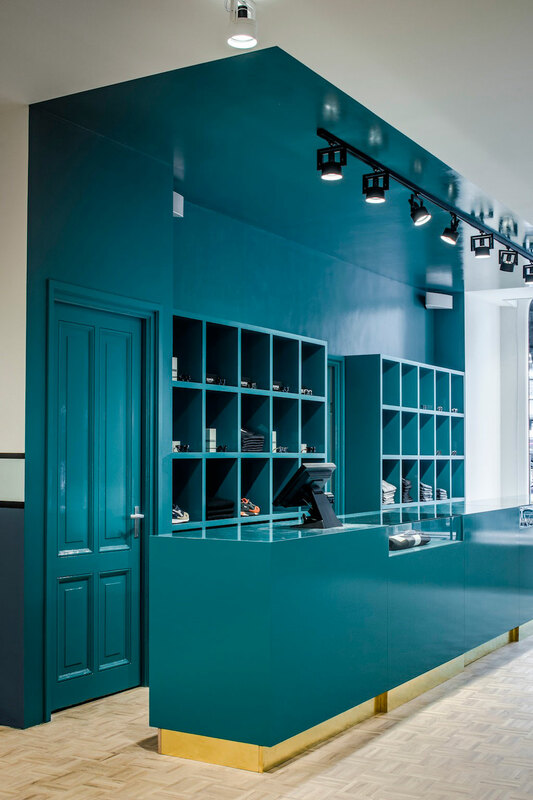 The teal is artfully contextualised by blonde timber parquetry floors, a brass base to the service counter, matte black light fixtures and surrounding white walls. 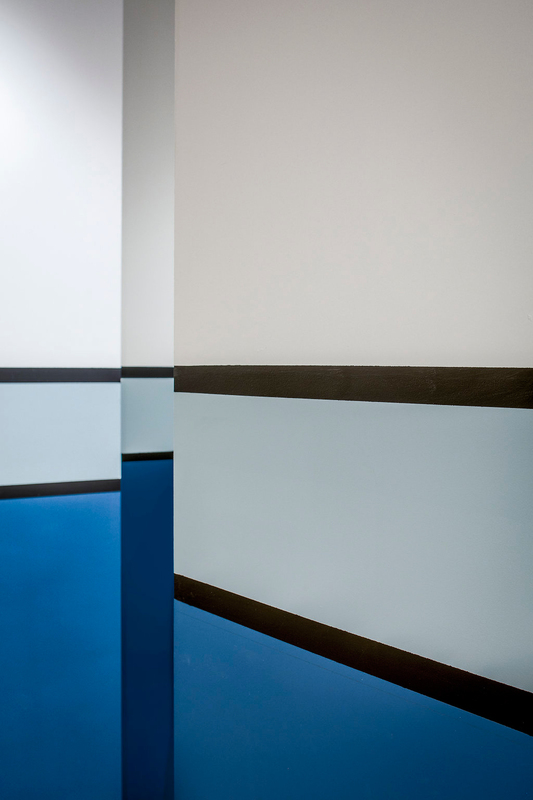 Black datum lines track the walls, highlighting shades of blue against white in a style that nods to Bauhaus architecture and graphics. 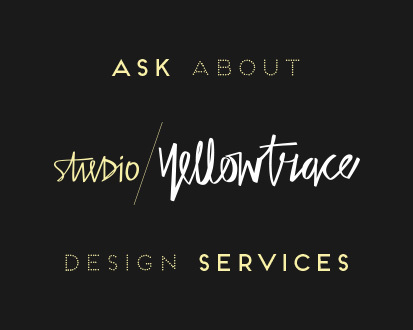 The lower level transitions into a calmer, softer palette with the deep blues featuring less predominantly and giving way to softer pastels of pinks, yellows and greens. Here, shoppers tread a cream carpet and get changed behind luxuriously long, bubblegum pink curtains with matching stools. 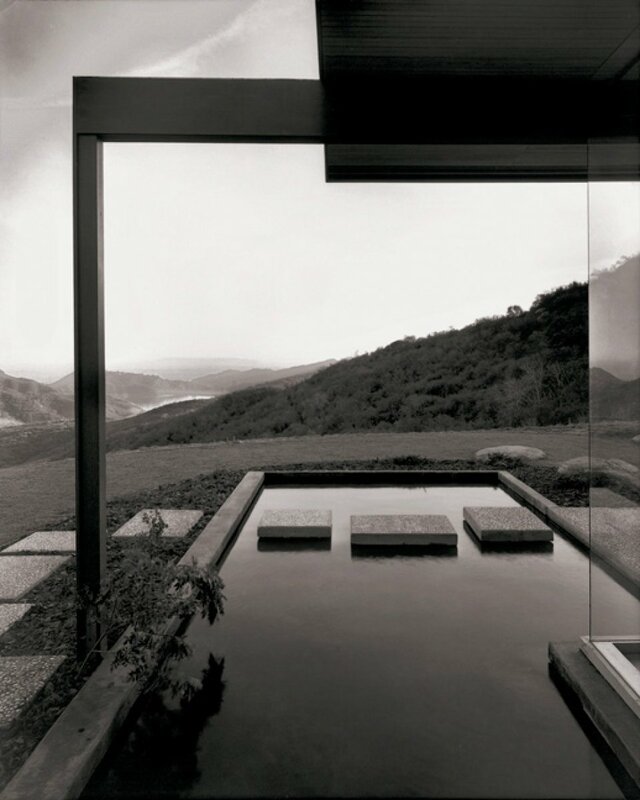 Whilst adhering to the store’s simple, linear form, the lower-level references geometric shapes in unique proportions. 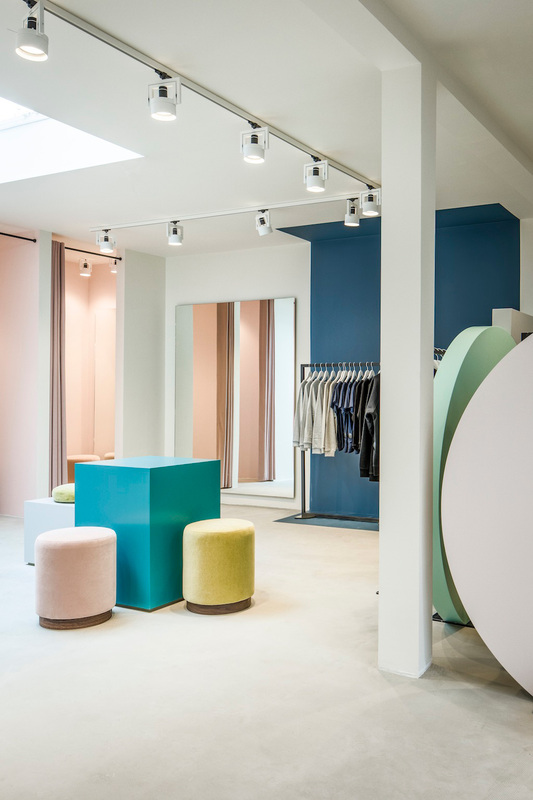 Circular flat cushions of acid greens sit on rectangular blue boxes, arranged as benches and display shelving. Mohair stools dot the surrounding area to offer plenty of seating. 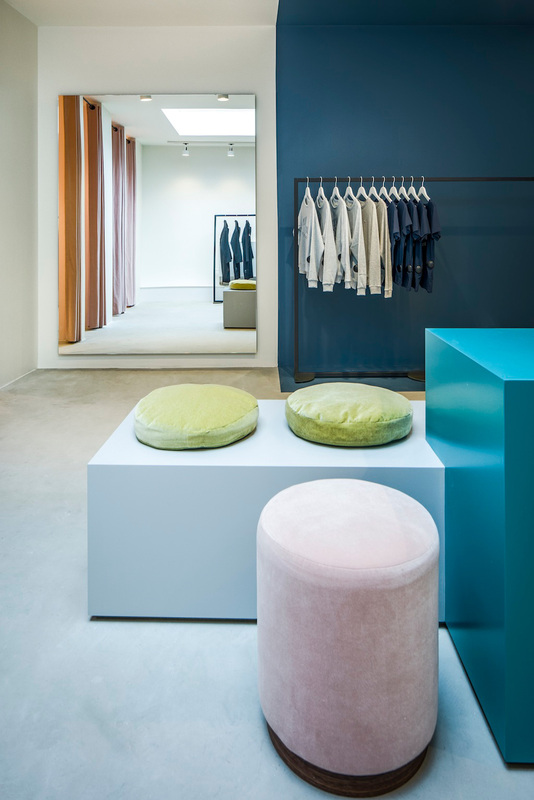 While a rectangle of navy blue is painted on a white wall to accentuate the clothing racks, large peppermint and pink circles cleverly close off a private corner. This sweet little store goes a little further to engage the tastebuds as well. The Pelican Studio offers a small, in-store cafe that caters any juice, coffee or light snacking fancy. Fashion and food – the perfect pair. Carafe Table by Charles Wilson for Herman Miller.